This package includes everything that your special day needs. There are no anxious moments planning or trying to ensure that everything is remembered, we do it for you. We go with you to the Town Hall to get your license, we arrange for the Officiant, and the food is just the way you like it. Then, we add in the ambiance, charm, fun that is a part of this Century Home and a place to spend the night. 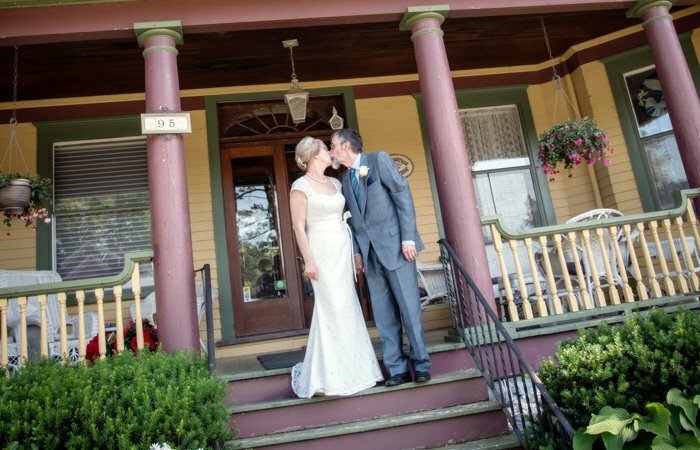 We want your "Special Day" to be everything you have envisioned. We will do everything we can to make it so. Pack your toothbrush and bring the wedding gown.....that's it! When you just want to run away and get married. We will even be the witnesses!